You can earn 250 yards with this purchase! 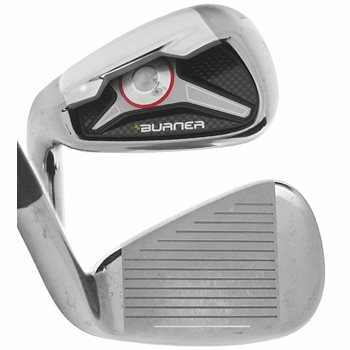 The TaylorMade Burner ''09 iron set introduces club-by-club optimization with distinctively different long irons, middle irons, and short irons with more distinct and consistent distance gaps between clubs. The long irons are forgiving and distance driven, the middle irons are long as well as accurate, and the short irons are accurate and responsive. Its thin face and Inverted Cone Technology increases ball speed across the entire face to maintain distance, even on off-center hits. It also features a Multi-Functional Sole that combines a low center of gravity with the playability of a thin sole. Multi-material cavity badge dampens vibration and sound to provide exceptional feel. Review by Don Dennis, 1 year ago.